To recap, in the last two parts of “Marketing Your Child Actor,” we discussed the following marketing tools: Part 1: (1) Headshots; (2) Postcards and Mailing Lists; (3) Social Media; Part 2: (4) Keeping your agent and/or manager in the loop; 5) Websites that provide information for casting projects; (6) Casting Director workshops; and (7) Training. 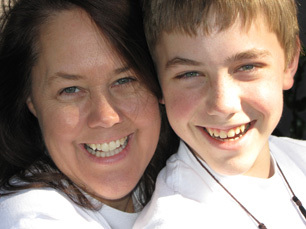 When your child works on a project, get mailing addresses or email addresses of the director, producers, etc. Depending on the project, you may have access to contact information for everyone on the project. When sending out postcards to casting directors, and emails to those that prefer email, also email those from past projects to let them know. You may not always get responses, but it is worth a shot. In my experience, we have had bookings come from simply keeping in touch. When your child books a project, make sure you thank the agents and/or manager. When the project finishes filming, have your child write “Thank Yous” to the directors, producers, casting director, and anyone else that was a major help through the process. Some may wish to send gifts as well, depending on the size of the project. Keep in mind, for tax purposes, you can only write off twenty-five dollars for gifts per person per year. But donʼt break the bank either. If you canʼt afford to give gifts, a hand-written “thank you” is enough. An inexpensive, but personal way to say thank you is to go to websites like Shutterfly or Snapfish and upload pictures youʼve taken while on set, especially if you have a picture of your child actor with the director, and/or producers, and order cards or photos. Snapfish and Shutterfly will both allow you to print at local stores such as Target, Walmart, CVS and other places for pick-up. Make sure it is okay to take the pictures on set before taking them though. With an integrated marketing campaign, you can get your childʼs information out there to the right people. It is your childʼs job to have fun in the audition room (as well as on set), and being prepared when they walk in to the room. Thanks to all our Hollywood Moms for their input on the best places in Los Angeles for photographers, printers, schools, representation, etc. If you have additional ways you market your child, or resources you would like to mention, feel free to comment with your information and experiences! 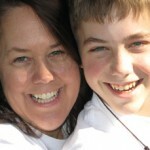 HMB Writer/Contributor Valerie Sullivan is Momager to Cody Sullivan, age 13. Edited by Hollywood Mom Jennifer Heite. Thank you for your page and information it’s great.